I seem to be have been having lots of conversations about diversity recently so was interested to see a new report from the CIPD and Bernard Hodes, 'Diversity and Inclusion - Fringe or Fundamental?' suggesting that 57% of employers say diversity and inclusion will become more important over the next five years. 83% of organisations have an articulated strategy, written policy or set of guidelines relating to diversity and inclusion and 40% are using metrics - mainly demographic data and employee survey results - around diversity. All good news! Less positive however is that most of these strategies are devoted to compliance with legislation or (still important but) lower value issues such as bullying and harassment (87%), interview and assessment (82%) and candidate attraction (76%). 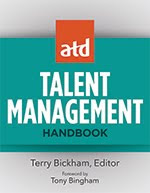 Many fewer organisations have linked diversity into talent and career management (34%), performance management (28%) or reward and recognition (21%). There was also a suggestion that organisations need more diversity champions. I'm not so sure of this. My worry is that having these individuals will drive more tactical initiatives. To really drive diversity and inclusion these need to be integrated into a broader HCM strategy, and the HCM champion take overall accountability for all these areas, as part of driving growth in human capital / organisational capability. I'll be sharing more on this agenda from the Economist's Diversity Summit 'The Value of Inclusion' - onThursday. It's great to see Strategic HCM included in this list of the 25 most socially shared HR blogs (those linked to on Twitter, Facebook etc), produced by Bamboo HR. It was a bit tight though - Strategic HCM came in at #24 out of the 25. 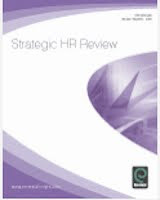 However this once again puts Strategic HCM at the top of the list for the UK and the EU (not though for the whole of Europe as Suzanne Lucas's long running blog, the Evil HR Lady, now produced in Switzerland, comes in at #17). And I'm lucky to be included anyway because I don't do that much sharing myself - I do think social influence is important, but my main interest is in understanding - and blogging about - this, and helping clients understand what they need to do about it, not necessary being that socially influential myself - my Klout, Kred and PeerIndex scores are nothing to shout about either. (By the way I do like the fact that PeerIndex thinks I'm knowledgeable about food - particularly cheese!). And of course, you don't share my posts much either - in fact you don't even do much commenting here, do you?! That's OK by the way - I know this blog is read by senior, strategic HR folk who don't tend to do much commenting or sharing on social media - yet. 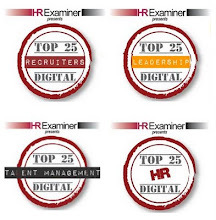 It's why it's those lists of the most insightful HR blogs that I'm keen to see Strategic HCM included on. So thanks for my inclusion on this list are probably mainly due to the highly socially influential Willian Tincup and Mike Morrison who do regularly tweet my posts. Do please keep it up! And to my other readers, I do appreciate any commenting and social sharing that you do decide to do! I was back at the Personnel Today awards last night. I was there as a judge for the 'HR through Technology or Social Media' category. So although this was a great event as usual, compered by PT's Rob Moss helped out by Hugh Dennis this year, it was the HR Technology awards that had my main attention. One of the things which keeps me working as an independent is the breadth of my portfolio - and acting as a judge for this type of award programme is yet one more interesting activity I perform. I like to see the breadth of work going on in the award submissions, and suspect the HR Technology category is particularly diverse - ranging from neat assessment systems to big, hairy eHR portals; collaboration systems to data warehouses. Though the quality of the actual submission varies widely too (something some organisations may want to put more into than they do), it's clear that all these projects and systems and important to the organisations concerned and dear to the hearts of those who have submitted the entries to PT. So it really does feel like a privilege to have the role that I do. And I do take the task of judging very seriously. However, although this is the third year I've been doing the judging for this particular award, I still find it a very difficult thing to do. How can you really compare a slick new piece of technology developing one organisation's employer brand to another more traditional approach transforming the effectiveness of the whole business? Still, we try. Anyway, I was in no doubt about the best submission in the category and very pleased to see Sunderland City Council win the award. One of many great submissions, this dealt with the enormous challenges sweeping through the public sector at the moment - particularly a reduction of 30% in what the Council is able to spend - but also the need to create a better organisation, in this case by supporting the 'Sunderland Ways of Working' and their values of 'proud, decent and together'. It's great to see innovative technology being used, not just to generate major savings in efficiency, but to support change, or actually in this case, continuity, about what is at the heart of the organisation too. All applications to the awards process are commercial in confidence, and I've probably already described more than I should, but I'm sure you'll find more about the programme in Personnel Today at some point in the future. Congratulations to these and all other winners and participants, and to PT for another excellent event - thanks for involving me in this and the judging process. We're kicking off with Archie Norman talking about work in the production era from his time at McKinseys - firms paid people, measured them. Everything was easy. But you can't pay spot rates like that now. We treated people as transactions and they treat their work and the people who work for them as transactions too. Everything has changed, particularly people and their attitude to work. The days when people come to work just to work have work have gone (err, well, to an extent). When, where and how you work are voluntary. We need to give them a fair wage, involve them and then entice them to perform. Bonuses don't work - they create resentment and unfairness - they can support a culture but can't create a culture. Younger people in particular come to work in search of meaning - they want to be part of the change. It's not just people who have changed - businesses have changed (err, well, to an extent - not yet enough!). The difference between leading and failing businesses is their culture. It's 22 years since Norman went to Asda as the FTSE 100's youngest CEO. Their employees often had very low self-esteem - making a job at ASDA doesn't naturally make them think they've made it. He saw his job as helping them develop this pride All they had was their people and values so they set out to create values to die for. When he went to ITV people weren't open about things - he started telling the truth about what he was seeing. People are receptive to this and we don't help things by hiding it. We need to be open about what's wrong with our businesses. But people aren't always comfortable with this - you need to reach out to them and reward and recognise them for this. He ran one of the UK's largest suggestion scheme and wrote out 4000 thank you letters - if people write to the boss, they want to hear back from the boss. If you're not going to do this, don't do it. Great presentation including loads of great lines (heavily tweeted). My favourite: "People come to work to shine, and our job is to help them shine." There are some nice links in the programme at the Miiddle East HR Summit. So after Dave Ulrich yesterday talking about his outside-in competencies, today and tomorrow is organised by competency area. We're starting with the Credible Activist competency and a well delivered presentation from Christel Heydemann, EVP Corporate HR from Alcatel Lucent. - Sales because the company had lots of initiatives but people weren't clear what these were for. She spent time explaining to managers what they were doing and simplifying corporate initiatives. Often this was about explaining what the team was already doing - so there was no resistance. - Execution - doing what was needed well. For example, one activity I quite liked was setting up an internal job opportunity market, 'ijob', where employees post CVs (or use their Linkedin profiles), and hiring managers post internal job opportunities. Activist? - yes - Christel clearly understands what she wanted to do in the business. Great HR? - well, I’d have liked to have seen more... That's not a criticism of Christel or Alcatel Lucent HR - they've skillfully executed the approach they’ve wanted to use. It's just that I personally would have focused more on developing their HR strategy. Please note that I'm not arguing for unnecessary complexity. But I do think great HR has to involve more than just common sense. This is part of my issue with outside-in. Christel talked about listening to what managers, employees (and yes, customers) want and translating these into HR terms. Fine - that's going to help you gain credibility. But I’d have wanted to see more in this presentation (other than the ijob site) that would help Alcatel Lucent gain competitive advantage. Doing the same as other organisations, or doing common sense things well doesn't do achieve this. And to me, creating competitive advantage is the key opportunity for HR. So I don't think practitioners can really be seen as credible activists unless we're focusing on this agenda. I'm spending an interesting day with Dave Ulrich (and about 500 HR leaders in the Middle East) at IIR's Middle East HR Summit where I'll be presenting tomorrow and Tuesday, and running a masterclass on Wednesday. The focus so far has been largely the outside-in approach that you may already know I'm not a great fan of. Having said that, Ulrich has provided a couple of great examples of where outside-in adds value. For example one of his ideas that I've not come across before is that HR should spend 2-4 hours per week doing sales calls. HR can go out with a sales manager and at the end of the sales meeting affirm the sales manager and explain to the client that their job is to build the talent and organisation that will ensure the company will gain 90% of the client's spend over the next ten years. It helps HR be focused on the customer and cements the client's relationship with the company too. The outside-in idea is built on one of Ulrich's long-standing concepts that value is defined by the receiver more than the giver. So HR needs to listen, to understand, and to provide the value the receivers want. For Ulrich we've now gone past this e.g. instead of just knowing the business we've got to develop the business in the context we work within. I'm still not sold on this - for me, the future needs to be about providing the value we know the receiver needs. We need to create new, not just add to existing, value. Reinforce it - financially and non-financially. Keeping with my recent employee engagement theme, yesterday morning I attended Symposium’s Wellbeing & Stress Summit. We started with a engaging presentation from Gill Crowther, HR Director at Nominet UK. Gill talked about using the Best Companies to Work For process to create love in their employees. She wants to see ‘Nominet’ stamped through any of her employee’s flesh if she were to cut off their arm. They’re also measuring love creation through their engagement survey. And through other things eg I liked the example of some ex employees sending in thank you cards after some recent redundancies (not for their redundancy, but the way this was done). Now I loved Gill’s attempt to create love – which I’ve posted on a few times, and will coming back to again soon. But I do think it will probably require a bit more, and a deeper, focus than Gill described. I’m also not quite sure about the arm thing (about cutting it off!, or expecting to see your company name there when you do). I think we can (with difficulty) aim to create conditions where our people will love our organisations, but I just don’t think we can expect that old, traditional, formal, hierarchical, authority based love any more. We also had a couple of good insights from BUPA, Simply Health and the CMI. I particularly enjoyed Alistair Dornan’s session reviewing some recent research from BUPA and elsewhere on health, wellbeing and engagement. So there has actually been some good economic news as well, though it got a bit hidden between the Leveson Enquiry and the current wave of Bash the BBC-itis (ahem! ), eg the ongoing fall un unemployment. There are a number of reasons for this – including more organisations ‘talent banking’ (keeping their surplus talent for further opportunities rather than jetisoning them for short-term cost savings) which I think is great news about how businesses are becoming more serious about HR – if it is true. But Alistair suggests that organisations aren’t well prepared for the future. That’s firstly because of the rapid change in work and jobs. Eg that the top ten jobs in 2010 eg social media ones didn’t exist in at the turn of the century. And eg the average graduate today will have had 14 jobs by the time they’re 35. Secondly, it’s down to the difficulties – unemployment and poor management – experienced over the last few years. The young and the over 50s have been hit disproportionately by the recession. And the 50 year old employee with just a couple of different roles under their belt and who has been unemployed for a few years now isn’t going to engage in the same old way, or respond that easily to the 35 year old manager already onto their 15th job. I’d agree - you’re never going to find your company name stamped through the flesh of these (or even just most) people, it just isn’t going to happen. We need to find a different way to engage – and perhaps the basis for a different type of love? Symposium conferences typically feature 8-12 expert speakers per day, including professionals with first hand experience, academics, industry observers and other experts. Events generally provide strategic analysis of an issue and explore practical solutions for the workplace. Also see HRreview - a news and information resource for human resources and related professionals. Updated news items are posted daily and there are regular updates to the features and analysis section, looking in depth at topical HR issues. HRreview’s website is supported by a weekly email newsletter (please register to subscribe). So perhaps just one more rant provoked by (not really about) the new report 'Nailing the Evidence' produced by Engage for Success to support their launch this week…. So far I've suggested engagement can't be about measurement or just about business benefits but has to start to put our relationships with employees first. So we shouldn't see employees as being like virus prone computers but ourselves - business and HR leaders - as the source of most of their - and therefore our - problems. Because we continue to - and seem to do even more and more - dumb things. And it's our actions as leaders that lead either directly, or indirectly as a consequence of the actions we take and the culture this creates to these dumb things. So one of the points I did really like in 'Nailing the Evidence' was the suggestion right at the back of the report that corporate reputation also acts as an enabler for higher engagement. I don't know if engagement at RBS can get much lower than I presume it has been over the last couple of years but Barclays as well as presumably HSBC and other banks fined for manipulating the LIBOR rate are clearly going to find their engagement scores hit. If Centrica and the other energy firms are found to have rigged gas prices, they're hopefully going to be in similar trouble with Ofgem, the government and the firms' customers. But the companies shouldn't be surprised when their employee surveys suggest engagement plummeting either. EBay, Facebook and Starbucks are already being hit by customer protests at their 'immoral if not illegal' tax avoidance strategies – in the Public Accounts Committee’s spotlight this week (I think it's harder to take action against Apple and Google) and I'm sure we'll see this filter into their employee engagement scores as well. And closer to home, when Chris Patten and George 'loadsamoney' Enwistle play poker with viewers' licence fees it just makes it that bit less likely that BBC staff are going to try harder to make good programmes, when the evidence suggests that instead they could just sit back and wait for a good pay off when something goes wrong. How Entwistle thinks he is doing the 'honourable thing' by stitching up the licence fee payer by taking half a million pounds for a few weeks work is beyond me. But why on earth does Patten think he can throw another quarter of a million after the first 'contractual' £250k just because he can't be bothered to sack the guy for poor performance (did he not listen to the John Humphreys interview?). And how did BBC HR agree to a £250k exit bonus for its new DG (CEO), irrespective of performance or length of service, anyway? I'd suggest this is inappropriate even in an investment bank. But it has no place at all in a publicly funded broadcaster and national institution like the BBC. Any candidate (particularly an internal one) requiring such a clause should in my mind have been immediately disqualified from the recruitment process. I'd have even had it as a selection test - anyone who puts their lawyer in touch with me is clearly not the person I need to do the job. Oh, and by the way, suggesting your staff not comment (e.g. tweet) on your public problems or disagrements may help cover up these issues short-term, but it's just going to send discontent underground. Much better to have an open conversation - and regardless of my earlier comments on the report, I'm really pleased to see that Engage for Success understands the importance of this (see the other comments on my earlier post). Also, just to note, I don’t really mean to single out those companies and people I’ve listed above – they’re just the organisations in the media’s headlights this week (though Entwistle did do an amazing impression of a rabbit in the headlights in his John Humphreys interview). Also Barclays and the BBC are two of the organisations on the Engage for Success taskforce – doing a great job to promote the need for engagement – even if they perhaps haven’t yet quite got their own houses in order! But next week it’ll be a different group of miscreants. That’s just the point – poor corporate behaviour seems to be pretty endemic these days. And we need to look within ourselves and examine this problem at least as much as why so many of our employees aren’t as passionate as we think they should be. #E4S Nailed! – now what? The one paragraph that did resonate for me in the Engage for Success ‘Nailing the Evidence’ report was the one instance when the report strayed away from presenting its statistics. It’s an interesting way of describing the problem, but, to me, it also falls into the trap that I think also underpins some of the statistical commentary in the report – which is seeing low engagement as an employee problem that needs to be dealt with, in order to improve business results. So in this quote, people are likened to defunct, unreliable and virus riden computers. And it’s clearly the computers which are the problem, and which need to be upgraded, replaced or at least deep cleaned for the situation to be improved. This is my main problem with engagement* – that’s it’s often defined as creating the behaviours which lead to business success. So if engagement is low, its the behaviours – the people, that need to be changed somehow. I don’t think that’s a helpful way to look at engagement. And it’s fundamentally disengaging too – ie slightly unintuitively, it’s likely to lead to more of the problems that it’s trying to correct. A much better, more useful, way to think about engagement is that this is the emotional state in which someone will feel able and motivated to do what they can – and which, all things being equal, will result in good things for the employer too. It’s a small difference, but a critical one. It places the employee at the centre of the approach and makes it clear that it’s the business which needs to change. After all, most organisations recruit individuals who feel engaged about their new job. The reason that these same people often feel disengaged a day / week / month / year later is often down to the organisation, rather than a change in demands of the employee. An environment in which your IT manager has poured out some cups of coffee and tipped them into 60% of the firm’s computers, and then picked up a chair and smashed up another 20%. Or an organisation where the facilities manager has tried to save costs by only connecting to the electricity supply on Monday and asking people to use wind up generators Tuesday to Thursday, and also to sit in the dark with no power on Friday. And this is basically the same as what I think our organisations do to their people an awful lot of the time. But the problem is with the organisation – the IT and the facilities managers in my metaphor (and apologies if it’s an analogy?) – it’s not a problem with the employee – or the computers or the electricity supply. * And for clarity – it’s just a small, not a big, problem! – I still think engagement is generally a good thing and a useful concept too. I just think employers will get more from it by seeing the employee as the solution – not the problem. So I said I’d come back to you on the new report produced for Engage for Success, titled ‘The Evidence’. And, errm, well, I sort of wish I hadn’t. I’m proud to be part of this movement and want to support it. However I’m not wowed by the report. It’s not that I’m not pleased to see it produced – I am. And it’s not that I don’t think it’ll be useful – I do (I’ll certainly keep it close at hand when I’m presenting on engagement as it’s got pretty much all – and quite possibly absolutely all - of the research I might want to refer to there in one place). It’s just that I don’t think it’ll do that much to boost engagement. For me, doing this has to be about engagement. I mean we need to engage people (CEOs, some HR people, a lot of line managers) about why they need to engage their people. To me, the report is just too dry to do that – starting with what must be pretty much the least inspirational report cover in history and followed up by stat after stat after stat. So I will say that the report does what it says on the tin - or the cover - very well. It nails the evidence. Engagement works – that’s totally clear now if it wasn’t so before. But to me, the approach a bit like thinking that if one soldier firing a gun at your head maybe isn’t going to kill you, then it’ll be better to have a firing squad of 100 soldiers – then you’ll really be dead. But are you really going to be any more dead than you would after the one single shot? So I’m certainly not going to sit here and attempt to summarise or even provide some nuggets from the report – a blog post isn’t the place to do this. Of course, I might be wrong (it does happen!). I’m already convinced about engagement (my issues about the concept are pretty minor and I truly do support the movement, if less so the report). But if I wasn’t already convinced, perhaps this would do it for me. And perhaps not. But that’s largely just down to the fact that I’m not that into measurement (and therefore evidence) in the HR / people management space (unless the measures tell a story and if you want to tell a story, do you really need measurement to do it?). 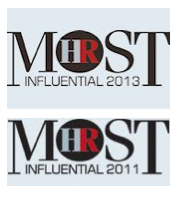 However a lot of people - possibly even more people in HR than in other areas of the business? - suggest they are all about measures. Do let me know if so! Today is the launch of the Engage for Success task force in the UK, with a group of CEOs meeting in London, and plenty of commentary in the press. This movement which is focused on the business value of employee engagement has been set in train by a group of business leaders and organised by David Macleod and Nita Clarke, authors of the Engaging for Success report published a few years back. It's also supported by groups of HR practitioners and consultants (gurus) - I'm on the guru group and have also been working on the social media sub-group helping raise interest in the launch. As well as these, there's a new report reinforcing the business benefits of employee evidence which has been developed by the movement's ‘Nailing the Evidence’ sub group, led by Tanith Dodge, HRD at Marks & Spencer. I'm reviewing this today and will post a summary later. That would add £28.5bn to the UK economy. As well as my review of the evidence, I also feel the need to post a bit on my own personal perspectives on engagement - I am a big supporter, hence my role in the movement, but I do have a few issues with the term and concept itself. I'll also be posting from today's follow-up event, a conference at the QEII Conference Centre in London on 26th November. You see it all the time these days - that proud assertion from leading HR professionals that they're business people who just happen to work in HR. Or linked to this, the need for HR professionals to develop business savvy and work in the business and speak the language of business, etc, etc - e.g. this video from Mike Moran on Friday. To me, it's all a result of the same thing - a lack of clear thinking and a desire for an easy life. I've made the point on this blog many times - we can get so far by being more like the rest of the business, but real value comes from being different, not be being even more of the same. 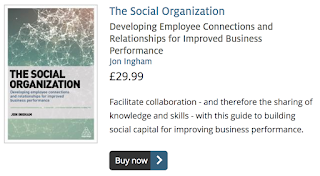 I was recently interviewed by HRZone on this topic and you can see the resulting article here (free registration required, and worthwhile).